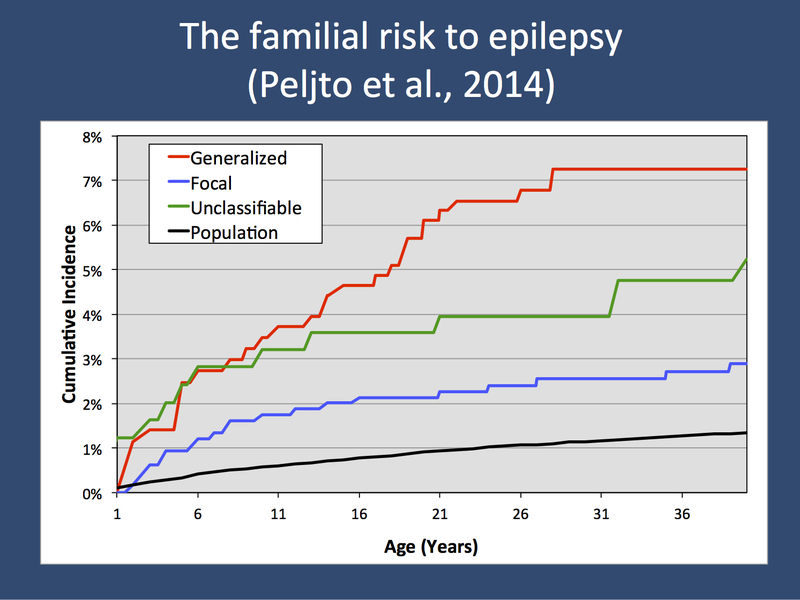 The cumulative incidence of epilepsy in first-degree relatives stratified by the epilepsy of the proband, shown as age-specific cumulative incidence. The risk is highest in relatives of probands with generalized epilepsies, compared to focal epilepsies. Age-specific data allows us to assess how a risk accumulates with an increase in age of the study cohort. For example, the cumulative incidence for generalized epilepsies plateaus by age 30, which is in line with the typical pattern for age of onset seen in IGE/GGE. The current figure is adapted from a previous version of Figure 1 of the manuscript that was provided by the corresponding author.